Steven Beites is an Assistant Professor at the Laurentian University McEwen School of Architecture and Principal of Studio Kimiis, an award-winning design/fabrication studio working at the intersection of art and architecture. 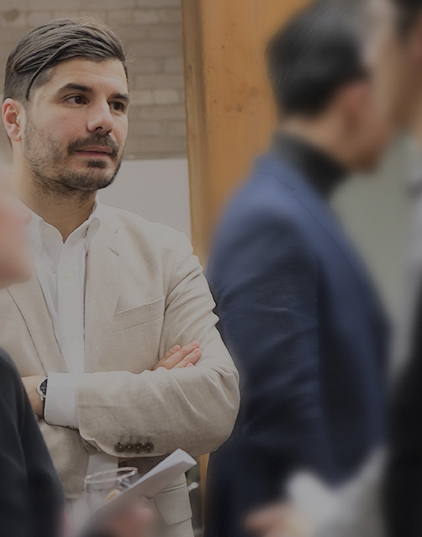 Over the last 5 years, Steven has held Adjunct Professor positions at the Department of Architectural Science and School of Interior Design at Ryerson University in Toronto as well as the School of Architecture at the University of Waterloo. His work has led to recurring workshops and guest critic invitations at Harvard’s Graduate School of Design as well as an appointment as Associate Director in the inaugural year of Ryerson’s Design Fabrication Zone; an initiative that aims to advance the students’ experience in digital tools and technologies. As a practitioner, Steven employs the latest CNC and robotic technologies to deliver contemporary work that is supported by a strong historical and cultural framework. His practice has been the successful recipient of 11 national and international competitions culminating in a series of high-profile commissions across Canada. With emphasis placed on preservation, each project pays homage to history and culture via the integration of new processes, functions and aesthetics. Urban Syncopation, ACSA 105th Annual Meeting: Brooklyn says, “Move to Detroit”, 2017. Waterloo University, ACADIA 2013: Adaptive Architecture. Paper: Morphological Behavior of Shape Memory Polymers Towards a Deployable, Adaptive Architecture. Beites, Steven. Morphological Behavior of Shape Memory Polymers Towards a Deployable, Adaptive Architecture. ACADIA 2013: Adaptive Architecture. Beites, Steven. Material-Driven Design Approach, Landscape Record 2016 No.2: Digital Fabrication, 115-117. Beites, Steven. Jetee, Landscape Record 2016 No.2: Digital Fabrication, 57-59. Ralston Saul, John. The city and the spirit garden: Prince Arthur’s Landing, Thunder Bay. The City of Thunder Bay; 1st edition , 2014. Dec/Jan 2010, MARK Magazine #29, Temporary Structure, Beites + Joakim, “Pausis”, Sukkah City.